Chat is in progress! Please switch the window to talk to our consultant! 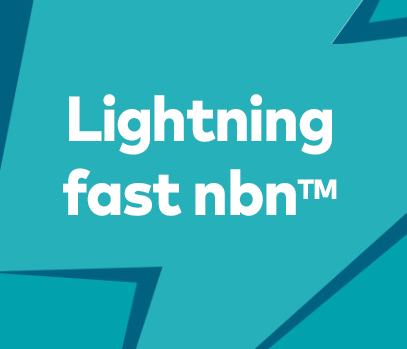 Our lightning fast nbn plans are here (40 Mbps Typical Busy Period). Catch up on video content, social media, your favourite blogs, and online shopping with our Optus $85 Bundle Plan. Or watch your favourite TV and movies with our $99 Bundle Plan that includes Optus Sport and Fetch Mighty with a Premium Channel Pack of your choice. Min. total cost over 24 months: $2475 incl. $99 start-up fee on $99 Bundle Plan and $2139 incl. $99 start-up fee on $85 Bundle Plan. Subject to line speed capability on FTTB/FTTC/FTTN post connection and not available on nbn™ Fixed Wireless. Available in Selected Homes. Fair Go Policy applies. Opt-in to premium entertainment, like Optus Sport and National Geographic, on eligible plans. Experience our lightning fast Optus nbn with 40Mbps typical evening speed (7-11pm) on speed pack 3. Pay, track and manage your bill with ease using the My Optus app. Available on Android and iOS. Shop online and get free delivery nation-wide on any modem included with your plan.